In this review I take a look at Canadian bed in a box mattress Endy. This is my first time reviewing an Endy mattress , so I’m excited to take a look. Interested in learning more about the Endy Mattress? Read on for my full review! 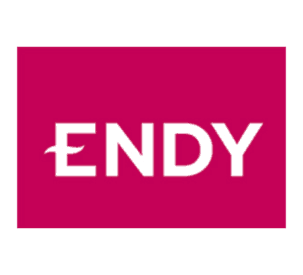 Endy was founded in 2015 with the goal of making the mattress shopping experience an easier process. The company is proud to design, manufacture and ship the mattress from their base of operations in Canada. They believe that by keeping the entire production of the Endy mattress in Canada they are able to provide a good mattress at a better value to Canadian customers. Endy also sells sheets and pillows and has recently updated the construction of their mattress to utilize new foams. The Endy mattress is an all foam construction made of three layers totalling 10 inches in height. On first look the Endy appears to use a mix of a soft comfort layer with a firmer transition to provide a medium balance of support and pressure relief. Cover – The cover of the Endy mattress is a thin polyester stretch blend. I found it to be pretty breathable to help with airflow through the mattress. It is a soft material and Endy says that it is microquilted, which gives it a cozy feeling. Comfort – The comfort layer of the mattress consists of 2 inches of a proprietary poly foam they call Endy Foam. 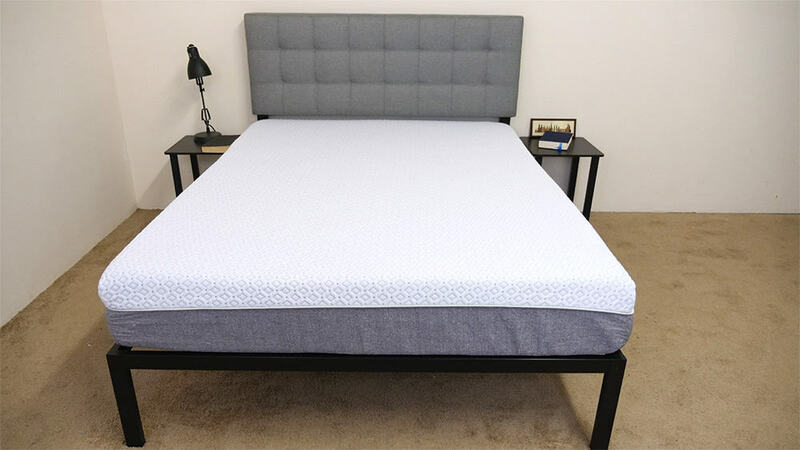 It is comparable to a gel memory foam with a 4 lb density and, like memory foam, is a soft material that allows the sleeper to sink in for pressure relief. The layer also provides some contouring to the body. This layers uses a gel infusion to help with cooling and temperature regulation. Transition – Below the comfort layer is 3 inches of poly foam with a 1.8 lb density that acts as a transition from the soft comfort layer above to the firm base below. The layer has some bounce to it to keep the sleeper from feeling stuck in the mattress. This layer is a bit firmer than the memory foam above it to begin providing support to the sleeper. Base – The foundation of the mattress is made of 5 inches of high density (1.8 lb) poly foam. It is a firm layer that provides support to the layers above it as well as deep compression support for the sleeper. The base also gives the mattress its shape and lends some durability to the structure. Canadian? Check out our best mattresses for Canadians page. The initial feel when I pressed into the Endy mattress was of the soft comfort layer. This layer allows the sleeper to sink in for pressure relief and I could feel it contouring to my hand. As I pressed further into the mattress I began to feel the denser layers beneath begin to provide support with increasing levels of firmness as I went down through the mattress. People can feel the firmness of a mattress differently due to different sizes and weight distributions. Instead of giving just my opinion on the overall firmness level of the Endy, I enlisted three other people to give their opinion as well. This should give you a better sense of the firmness range you can expect. 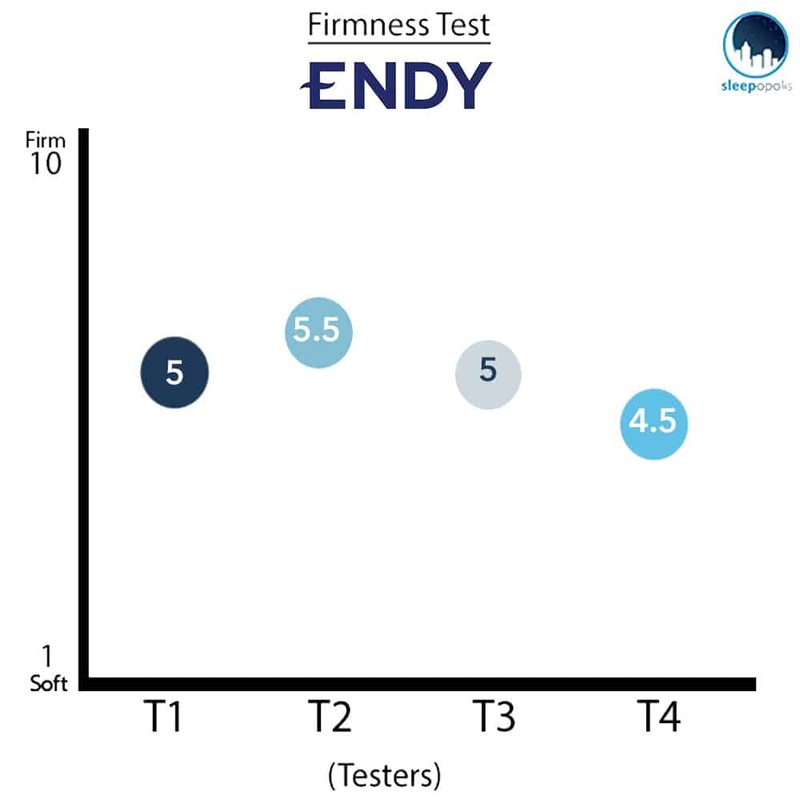 As you can see from the chart above the testers placed the Endy on a range from a 4.5/10 to a 5.5/10 on the firmness scale. This averages out to a 5/10, which puts the Endy a bit on the softer side, as 6.5/10 is generally considered a medium firmness. 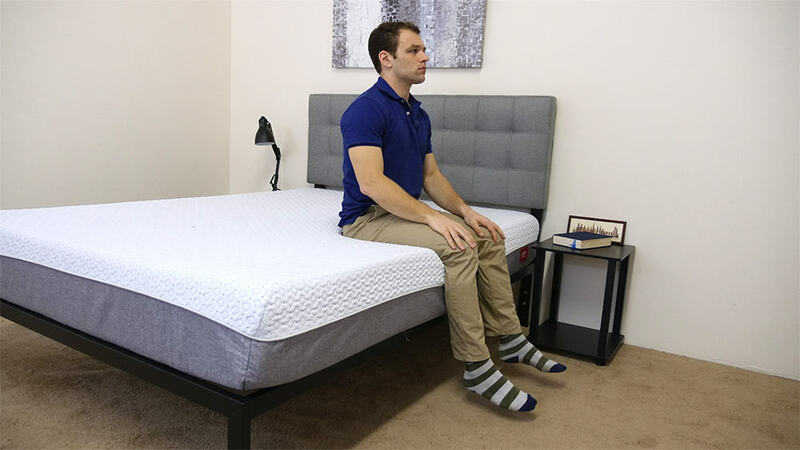 I personally rated the Endy as a 5/10 on the firmness scale as I found that I sunk in the mattress a bit regardless of the position I was in. While I did find that I pushed through the soft comfort layer pretty easily, I didn’t feel stuck in the mattress at any time and was able to change positions easily. 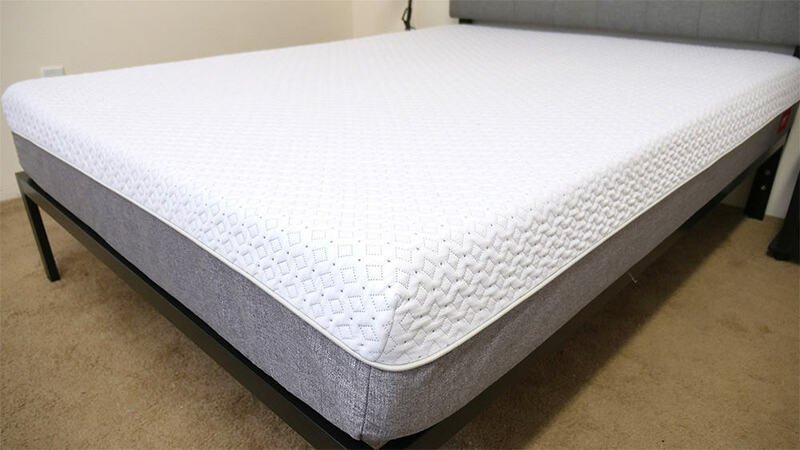 At times mattresses with soft comfort layers will have an abrupt and noticeable change to the firmer layers of foam beneath but I found that the Endy did a good job of transitioning from the top of the mattress to the support below. Instead of just describing the feel of the Endy, I wanted to give a visual representation of where someone may feel pressure points while lying on the mattress. To do this I placed a pressure map on top of the mattress and lied on my back, side, and stomach. On the image below pressure will be represented from blue (low pressure) to red (high pressure). 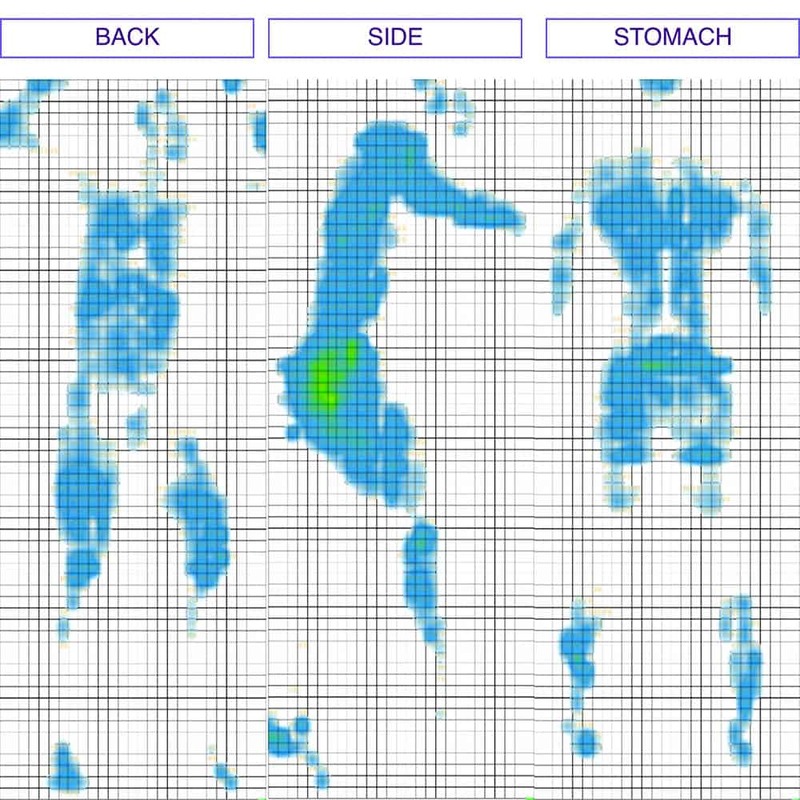 While lying on my stomach on the Endy my weight was pretty evenly distributed and the pressure map results above show low pressure across my entire body. In this position I could feel the foam layers fill in the space beneath my lower back and as I sunk into the mattress a bit there was a little bit of contouring to my body. Even though I felt myself sinking into the Endy I never felt like I was stuck in the mattress and found that I could change positions pretty easily. Once I rolled onto my side I found that the softness of the mattress allowed me to push further into it and provide good pressure relief. The pressure map results above show a slight rise in pressure at the hips, but that is to be expected on the side as there is a higher weight concentration over a lower surface higher. Side sleepers can often feel pressure points form at the hips and shoulders, but I didn’t feel much pressure in those areas and the results show low pressure for both. Once on my stomach my weight was again evenly distributed and the pressure remained low across my body. Low pressure on the chest is especially important for stomach sleepers as it helps with easier breathing. One thing I will point out about the Endy is that because it is a softer mattress I found my hips sinking in a bit in this position. Stomach sleepers often prefer firmer mattresses in order to keep their hips up and spine aligned in a better position, so this may not be the best choice if you are a strictly stomach sleeper. If you plan on sharing your mattress with a partner, you will want to know what it will feel like when the other person gets into and out of bed or tosses and turns during the night. 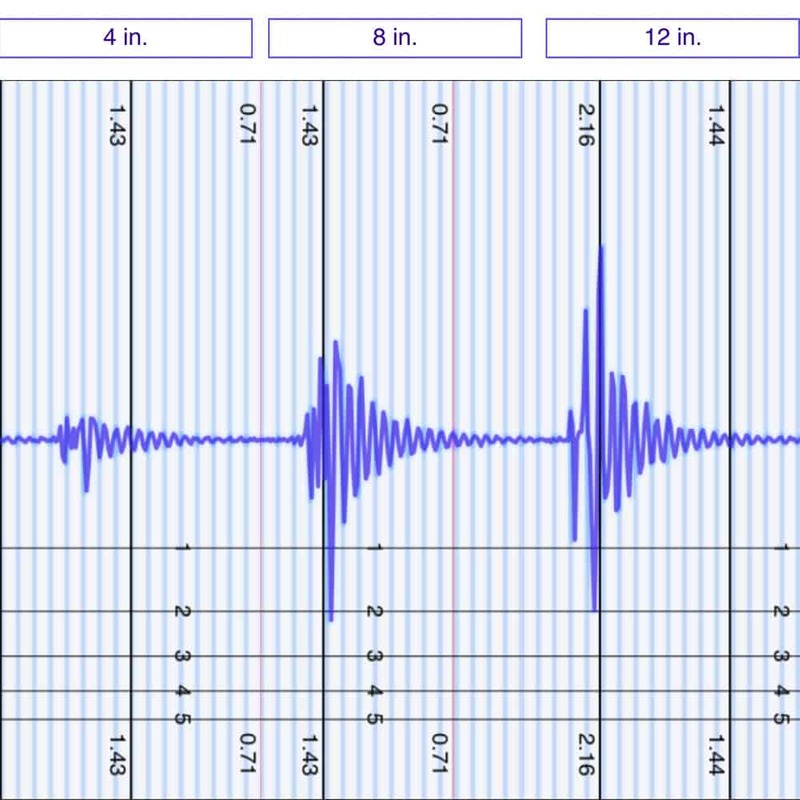 This next test is helpful in showing the intensity of motion that is detectable from one side of the mattress to the other. The 4 inch drop represents someone adjusting their position on the other side of the bed and, as you can see in the results above, the Endy did an excellent job of isolating the motion from this drop. This is an excellent result for this test and I believe it is because this drop interacted with the comfort layer, which did not allow much disturbance to transfer. While the 8 and 12 inch drops do show larger spikes in disturbance, that is to be expected. These drops simulate someone getting or jumping into bed and interact more with the firmer layers that are further down in the mattress. When compared to other mattresses in the market I would consider these to be good results and this test to be a positive for the Endy. Many people buying a mattress will want to know if they will feel like they are more on top of or sinking into the mattress. In order to get a good idea of how someone might sink into an Endy mattress, I used four balls of varying sizes and densities (a 6 lb medicine ball, a 10 lb steel ball, a 50 lb medicine ball, and a 100 lb medicine ball) and placed them on the mattress to measure how much they compress the surface. 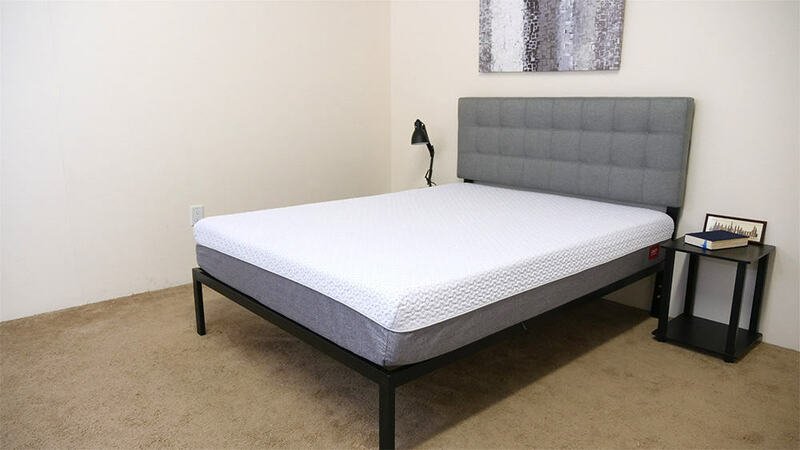 If you’re going to share your bed and need to you the entire surface of the mattress then edge support is something you are going to want to take a look at. Foam mattresses can sometimes struggle to live up to the edge support of traditional innerspring mattresses, so I wanted to have a look at how I would feel near the side of the Endy. Lying near the side of the Endy I felt even support and feel from the center of the mattress to the edge. The image above shows me as I got very close to the edge and how the soft comfort layer of the mattress allowed me to sink in and contoured to my body. Even though I was sinking in a bit, I still felt well supported near the edge of the Endy. I felt confident in my position on the mattress as I rolled around and changed positions near the side. While there was some compression through the comfort layer of the Endy, that is to be expected from softer foams and I never felt as if I was compressing the edge so much I would roll out of bed. The image above shows me sitting on the side of the bed and shows what it looks like when all of my weight is concentrated on one portion of the edge. While I saw some compression through the soft top layer of foam, I was pretty impressed with the Endy’s performance during this portion of the review. Sleep Trial: There is a 100 night trial period for the Endy mattress. Warranty: Endy offers a 10 year warranty on this mattress. Shipping: Endy only ships to Canada, but shipping is free to all Canadian provinces. The mattress will arrive compressed in a box. Be sure to use the code “SLEEPOPOLIS” to save $50 if you are convinced that the Endy is for you. Is the Endy mattress right for you? Now that we’ve taken a deep dive into the Endy it’s time to discuss who I think it would be a good fit for. 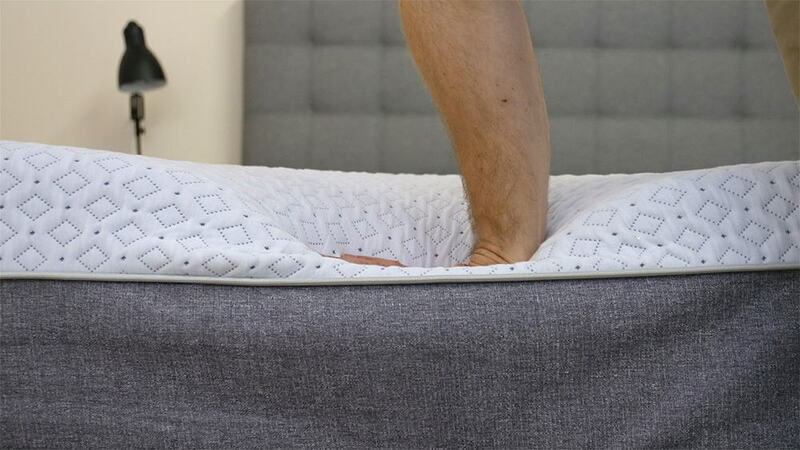 Side Sleepers – I felt that the Endy was a softer mattress that allowed me to sink in for pressure relief. Pressure points can be a big concern for side sleepers, as they have increased weight over problem areas such as the shoulders and hips, and the pressure map showed a good result for the Endy in this position. Also I found that the soft proprietary foam comfort layer felt like memory foam and provided a comfortable sleeping surface while I was on my side. Couples – The Endy performed well during both the motion transfer and edge support portions of the review. Strong results on these two tests are a great sign for a mattress that is going to be used with a partner. Live in Canada – As I mentioned before, Endy is a proud Canadian company and the mattress is designed, manufactured and shipped from Canada. By keeping the production of the mattress within Canada they are able to provide great value to those purchasing within the country. If you’re interested in learning more about this mattress check out Endy’s website. Planning on purchasing an Endy mattress? Be sure to use the code “SLEEPOPOLIS” to save $50! Based out of Canada, Endy is an all-foam mattress that trends toward the softer side. For this reason, I tend to think the mattress could be best for side sleepers. Endy has positioned themselves as one of the most sought-after and popular mattress brands in Canada. I need a new bed as my waterbed that I dearly love has a leak!